JAW-DROPPING! Don’t miss this!JAW-DROPPING! Don’t miss this! Cheers from Two Chefs Kata Beach! Don’t think any further! Book now! 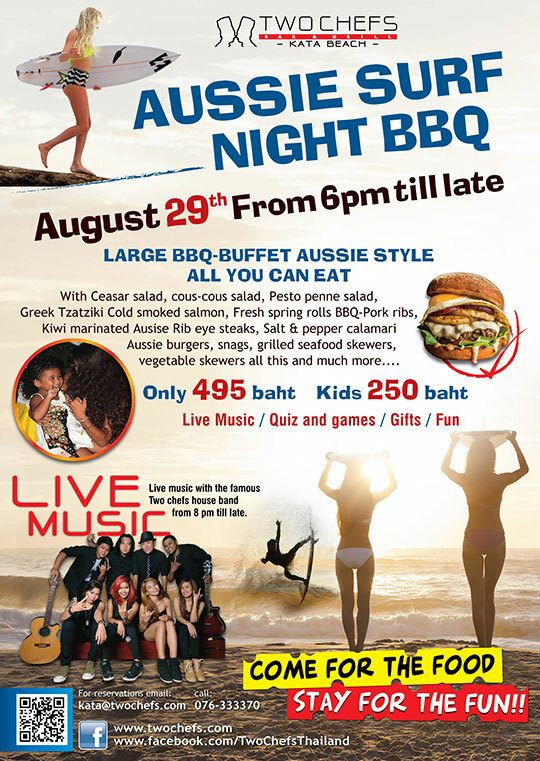 Come see us at Two Chefs Kata Beach! You can’t afford to miss the food, FUN, and LIVE MUSIC performance by our famous Two Chefs Band! Not to mention, memories and a plenty of selfies to add to the book! NEED A MARGARITA? We have that too! P.S. Don’t forget to invite your friends! Amazing dessert menu has people in ecstasy!